This unique deep-cleanser utilizes the ability of Activated Charcoal to detoxify the skin, without drying it out. OXY Icy Charcoal Deep Face Wash unclogs pores, cleanses impurities and removes dead skin cells. Suitable for all skin types, it effectively absorbs excessive sebum and clears dirt residues even from the deepest pores, instantly delivering visibly brighter skin with ultimate cooling sensation. Explore the entire range of Face Wash available on Nykaa. 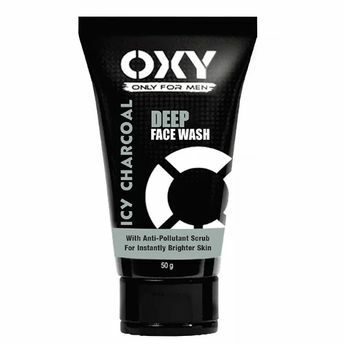 Shop more OXY products here.You can browse through the complete world of OXY Face Wash .Alternatively, you can also find many more products from the Oxy Icy Charcoal Deep Face Wash range.